It was the morning after our visit to the Iwahig Firefly Watching. Our plan was to do the Underground River via Do-It-Yourself, lucky for us since we got to secure our permit from the Underground River Booking Office. We woke up early and checked out of our lodge in Puerto Princesa for us to catch the 7:30 AM trip to Sabang via Lexus Shuttle Services. When we arrived on their terminal, there were 2 caucasian guys (I forgot the nationality) that were asking if they could still get on the van. Since we all looked like backpackers it was easy for us to get to chat with them. 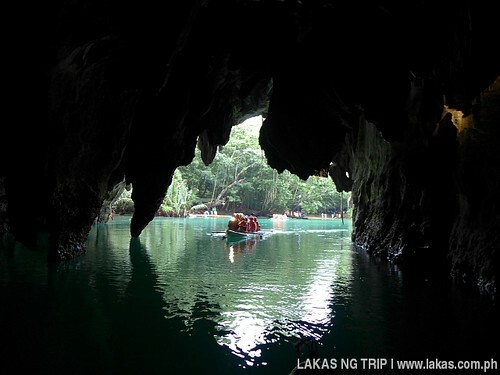 We found out that they still do not have a permit to the Underground River. I told them that there was a way before to get inside the Underground River if they were staying overnight in Sabang, I’m just not sure if that way still exists. 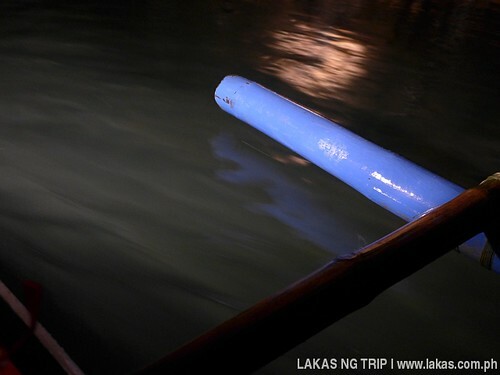 Luckily, there was a resort owner in Sabang that was riding with us that verified that they could still enter the Underground River as long as they stay in one of the accommodations in Sabang! When the van left at 7:30 AM both the caucasian guys were inside our van. We found out that both their names were Martin, so everytime we were talking about them we refer to them as ‘the Martins’. Our van arrived at Sabang around 9:20 AM. 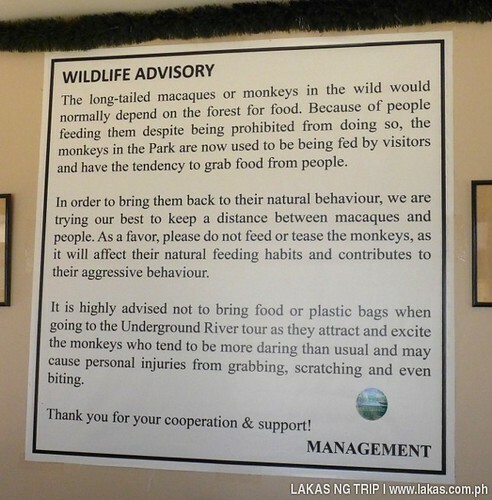 Since our permit says that we should be at the entrance to the underground River at 12:50 PM we decided to go straight to the Tourism Office at the Wharf to settle our registration and start walking through the Monkey Trail. Since we were expecting to do a 5 kilometer Monkey Trail our group split into two. Chris, Chris, Leah and Jessica went to walk with what’s left of the Monkey Trail while me and Catherine (SeekingFelicity.com) stayed on the Tourism Office to finish our registration and other logistics to enter the Underground River via DIY. We promised the others that we would follow them immediately once we settle everything. 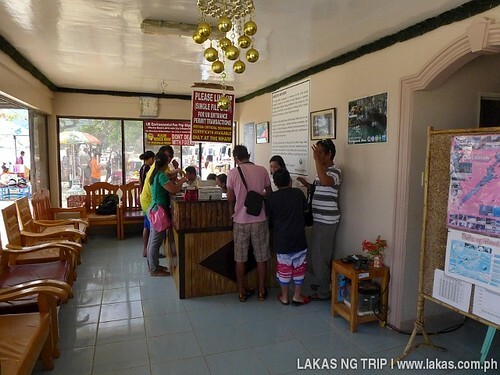 When we got out of the Tourism Office we have already paid 40 Pesos/person for Environmental Fee. We said our goodbyes to the Martins and quickly walked along the beach of Sabang to catch up with our friends. 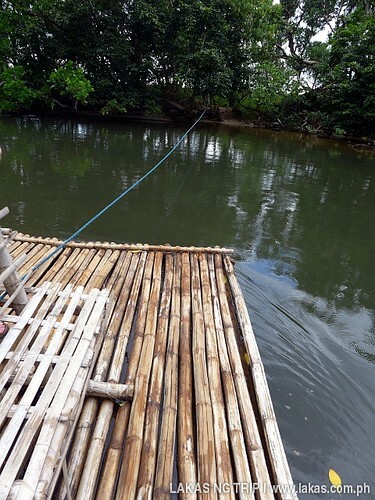 We passed by the Mangrove Paddle Boat Tour and boarded a raft for the Sabang X Zipline for us to catch up with our friends on the Monkey Trail. Before this trip, I’ve been to Sabang twice. 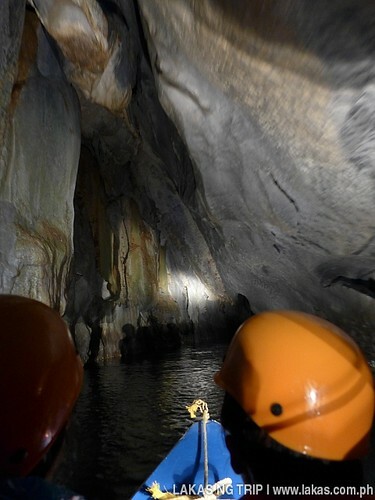 First was when I went with a tour group to visit the Underground River and the other was when my brother and I decided to visit Sabang again to do the other tourist spots in the area like the Sabang Waterfalls. This was my first time to cross the river of the Mangrove Paddle Boat Tour to the Monkey Trail and I loved how the beach was preserved the way it was. There were no accommodation on the side of the beach and it was all green! Thanks to these place as a National Park thus making it a protected area. 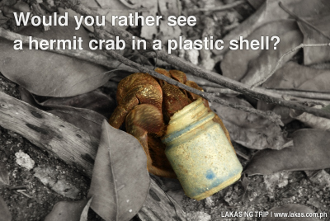 What I didn’t like was the small trash left by visitors. I wonder how would they react when visitors come to their house, throw trash around and then just leave. Anyways, the trash was not that many, I just wished there were none. When we got to meet the other group it was already around 11:45 AM and we needed to be in the wharf an hour before our scheduled entry to the Underground River. We took pictures for a short while and walked back to the wharf. 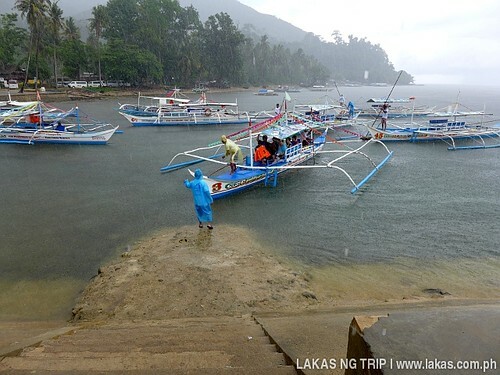 We arrived at the wharf around 12:05 PM and quickly arranged our boat (700 Pesos for a group of 6) and paid the Wharfage Fee (18 Pesos/boat). We waited a little bit under the rain and at around 12:40 PM it was our turn to ride the boat. I was glad that it was raining with almost no wind since we needed to ride the boat. Contrary to what most tourists think, rain actually calms the sea. That’s why whenever there are strong waves boatmen would like to have rain so the sea would become calmer. The strong waves are created by the winds and other factors. 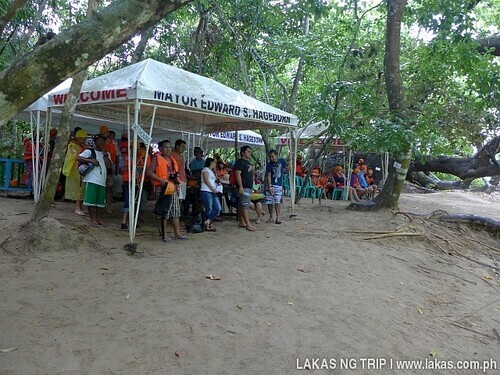 We arrived at the jumpoff point of the Underground River at around 12:57 PM. Took the usual picture at the Underground River signboard and registered again. Then we were instructed to walk on the wooden boards to where the paddle boats could be found. When we arrived there, we registered again!!! 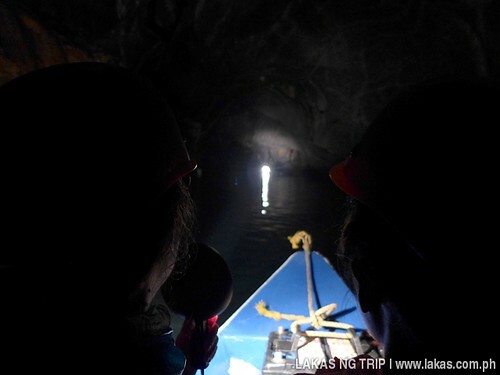 (4th time) and we waited for our turn to enter the Underground River. It was a 30 minute wait. Our group were tired from all our activities the previous day, add to that our lack of sleep and food. Some of us went ninja and disappeared from my sight only for me to find out that they were sleeping at a side of the waiting area. I, Catherine and Chris decided to look around, observe others, take some pictures and mimic the tour guides by saying “Ma’am… Sir…!”. When it was our turn, we decided to let Jessica and Leah ride in front. 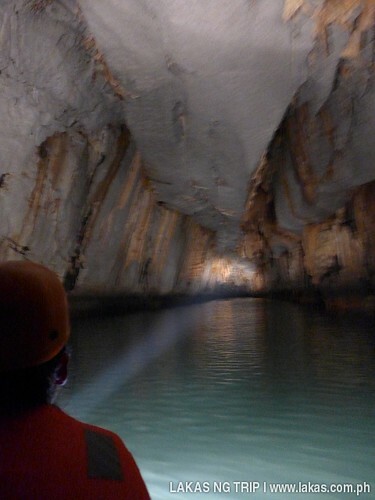 Based on my brother’s bad experience on our first Underground River the ones in front will be the ones who will be pointing the spotlight inside and should listen to the guide more attentively than the others. Therefore this should not be lovers who will show the love in front of everyone else and just selfishly point the spotlight where they want to look. 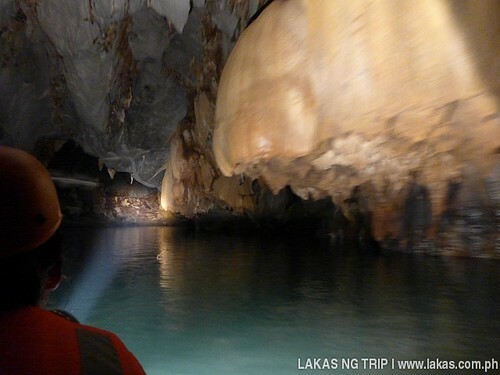 We got to go inside the Underground River around 1:36 PM. Jessica (left) and Leah (right) lighting our way. It was around 2:15 PM (39 minutes) when our guide said “Now you see the light.” It was a sign that our paddle boat tour inside the Underground River was going to end. 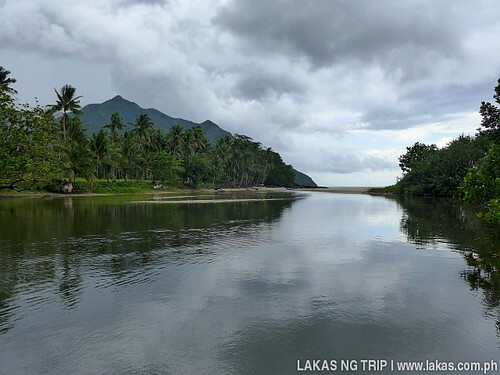 When we got off the paddle boat, we took some pictures and decided to quickly walk back since we still needed to catch our 4PM trip back to the town proper of Puerto Princesa. We got back to the wharf of Sabang around 3 PM and hunger was quickly realized since we had not had a meal the whole day! The 3PM was not a good time to look for food as almost all the food have been consumed during lunch time. Luckily we found an eatery where there was still some Sinigang na Baboy and Rice. I ordered and happily consumed it. 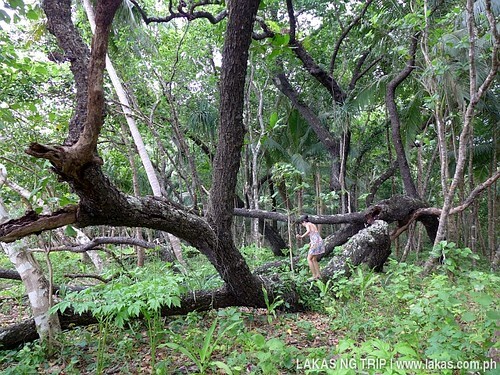 We saw the Martins’ again on our walk to the terminal of Lexus Shuttle Service in Sabang. They were now hiring motorcycles for them to get to Ugong Rock Caving. We said our hellos and goodbyes. 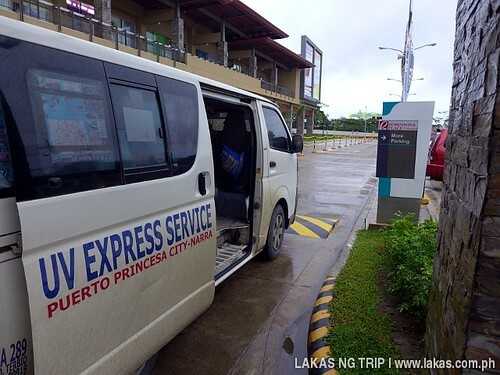 Then at around 4:02PM our shuttle back to the town proper of Puerto Princesa left. We were dropped off at Robinsons Puerto Princesa at around 5:40 PM. Though we did the Underground River via Do-It-Yourself, I still do not encourage people to do this as there is a seriously high risk that you cannot enter the Underground River via this way. 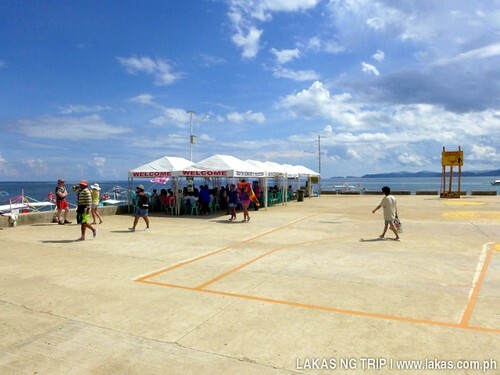 Better if you book in advance with the Tour Agencies in Puerto Princesa for 1,500 Pesos/person. Yes, I do agree that it’s expensive but are you willing to travel all the way to Palawan just to be rejected entry to the Underground River? 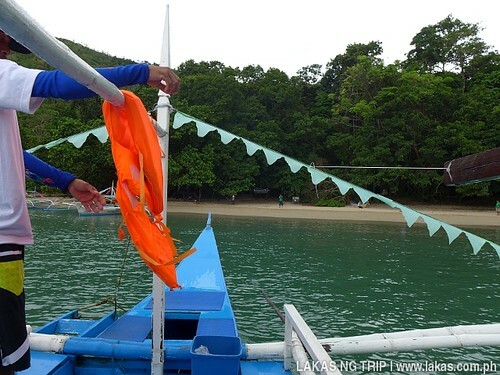 Were you also in El Nido this June? I thought I saw you. 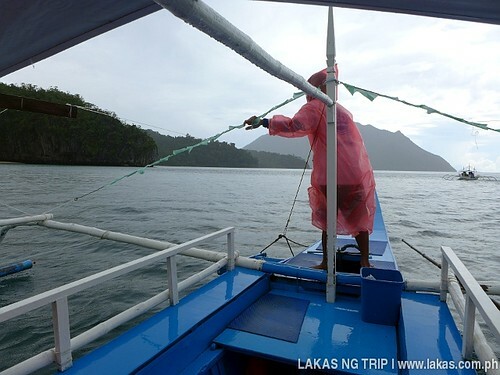 Anyway, I based our El Nido trip from your blog. It was so much help! 🙂 Thank you! Hi, ask ko lang pwde po bang makakuha kami ng permit for 20 persons kahit walk in? Possible kya silang magbigay nun? hindi na kasi kami kumuha ng package tour since nung april sinunod ko ang payo mo about sa DIY mas mura kasi :..
Hi Ms. Cindy, posible po na mag-walk-in po ang 20 persons, pero hindi ko po inaadvise ang walk-in baka kasi hindi po kayo maapprove dahil puno na lahat ng slots. Nasa sa inyo po iyan kung mag-take po kayo ng risk.